We design our products with the intention of providing the highest performing, and truly natural products available. Our goal is to allow you to be your true and authentic self and to let your natural beauty shine. We believe simplicity is key, the fewer ingredients, the gentler the skincare and the more your skin will love you! Simple also means taking out all the BS that invades your body causing havoc. No chemicals, no additives, no junk whatsoever, simply results. 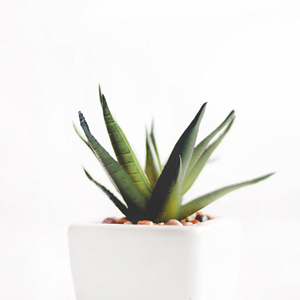 The incredibly useful Aloe plant has been prized as a healing herbal remedy since ancient times. When used topically, it will enhance the health and beauty of your face, skin, hair and more. It softens your skin without clogging pores and is a natural solution for improving skin hydration. 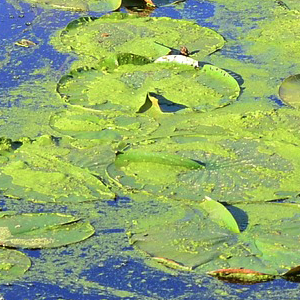 Our organic blue green algae comes from the Klamath Falls in Oregon. It is the purest, most nutrient intact algae available in the world. It is a wild harvested organic certified single celled organism which occurs in the remote area in the Oregon Cascade Mountains. It is highly bio-available and contains a full spectrum of minerals, chlorophyll, B Vitamins, Beta-Carotene, Pro Vitamin A, Lipids, enzymes, essential amino acids, nucleic acids, DHA and EPA fatty acids. Cetearyl olivate is a unique natural PEG-free emulsifier derived from Olive oil. It reduces skin water loss, has a high moisturizing effect, is hypoallergenic and biomimics the skin. One of the healthiest ingredients around, coconut oil is rich in many proteins. These proteins keep skin healthy and rejuvenated. proteins also contribute to cellular health and tissue repair. Coconut Oil is a powerful moisturizer that is beneficial to restoring dry or flaking skin. 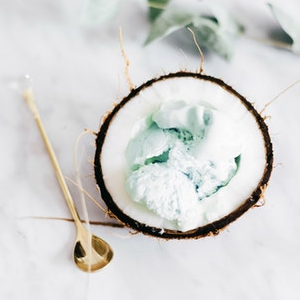 Unlike your average moisturizer that contains a lot of water and likely synthetic ingredients, coconut oil helps to strengthen skin tissue more deeply and eliminate dead skin cells while absorbing quickly into your skin. Used topically, CoQ10 can effectively help fight free radicals and help reduce the signs of aging. CoQ10 penetrates deeply to provide antioxidants and help create collagen and elastin. 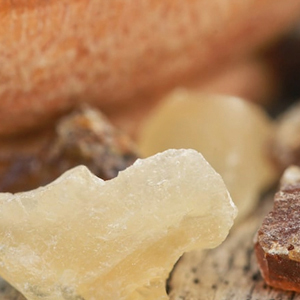 Known as the king of essential oils, Frankincense has a variety of notable uses and benefits. 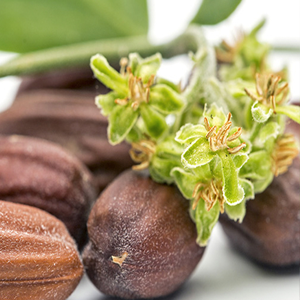 This powerful essential oil is revered for its ability to beautify and rejuvenate skin. It helps prevent wrinkles, brightens and tightens skin for a more youthful appearance. 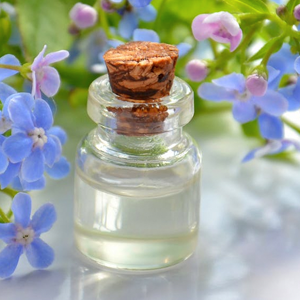 Geranium Essential Oils anti-aging properties include boosting radiance and overall skin texture while minimizing the appearance of wrinkls and pores. Its powerful antioxidant properties work to delay skin aging by minimizing damage caused by free radicals. 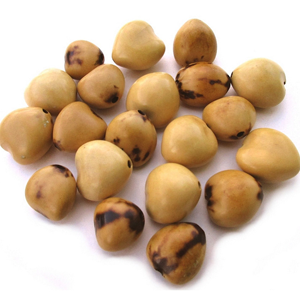 It leaves the skin looking younger, improving overall appearance. 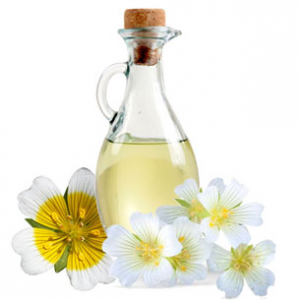 This oil can also offer protection against sun damage, and it has astringent properties which work to tighten the skin. Because it contains linoleic acid, it can also benefit a variety of skin problems, including acne, eczema and dermatitis. This same compound helps to nourish and soothe as well as aiding in the repair of the skin. 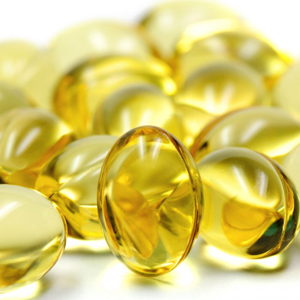 Vitamin E is the component that helps the skin stay smooth and firm. 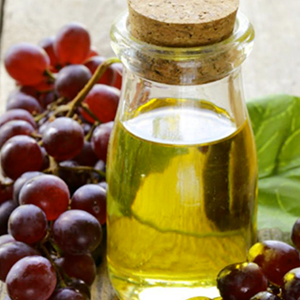 While it may sound counter-intuitive to use an oil to treat oily skin, grapeseed oil can surprisingly do just that. If you allow your skin to dry out, it can actually increase the oiliness of your skin as that’s the skin’s natural reaction when it gets too dry. Grapeseed oil is light so it doesn’t leave the skin with a heavy, greasy feeling. Instead, it moisturizes while balancing oily and dry areas. The oil can help to restore collagen too, thanks to it being rich in those OPCs (oligomeric proanthocyanidins). These compounds help to eradicate free radicals and promote the restoration of collagen at the cellular level. It makes your skin feel firmer, while also minimizing and preventing signs of damage. 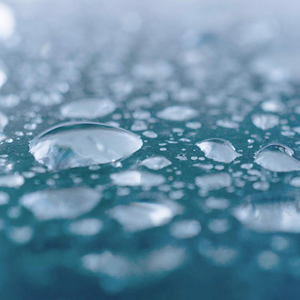 A naturally occurring acid that holds 1,000 times its own weight in water. It penetrates deeply, hydrating and moisturizing the skin, repairing dryness and retaining water. 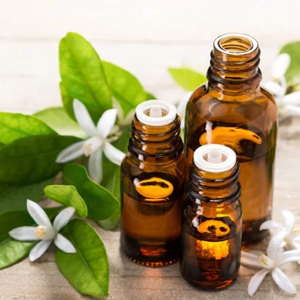 Jasmine Essential Oil (100% Pure therapeutic grade) is a sweet and exquisite oil that has been used in skincare and perfumery for centuries with good reason — the scent is intoxicating and the oil itself works to increase the skin’s moisture content and increase its elasticity. Our Jasmine Sambac comes from the steam distillation of thousands of Jasmine petals. Amazing moisturizing capabilities due to the similarities in structure to our skin’s own natural sebum. Helps other oils absorb more deeply into skin. High in linoleic acid to balance sebum and oil production in oilier and blemish-prone skin types. Absorbs into skin for hydration and nourishment at a deep level. 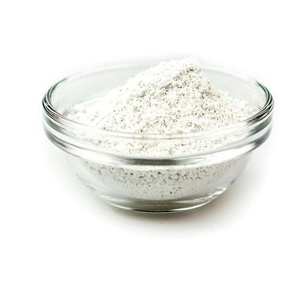 Sometimes called White or China Clay, it is a highly adsorbent clay that cleanses the skin. It’s especially beneficial for those with sensitive skin and will gently exfoliates and cleanses resulting in younger looking skin. Lavender has a dynamic aroma that’s a wonderful blend of fresh, floral, clean, and calm. It helps to speed healing and boosts circulation which improves overall skin health. 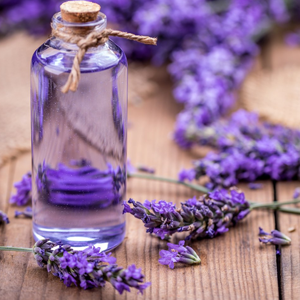 Lavender also has anti-fungal benefits which help treat everything from dry skin to wrinkles, even inflammatory conditions such as psoriasis. 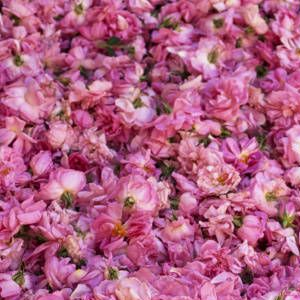 Rich, intoxicating and elevating, this complex, full–bodied Moroccan Rose is reminiscent of a field of blooming roses direct from the ‘Valley of the Roses’ in Bulgaria, and is steamed distilled from thousands of beautiful rose petals. 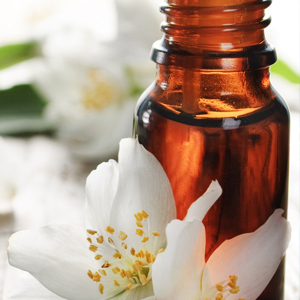 Moroccan Rose helps increase moisture in the skin. It also smells incredible. 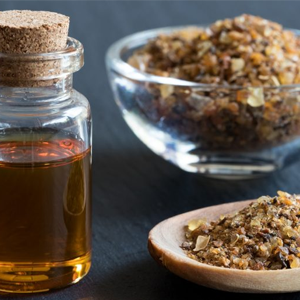 Myrrh Essential Oil is not only great for anti-aging, it has powerful benefits for chapped/cracked skin, and is used for eczema an other inflammatory conditions. Neroli Oil Has been used for centuries to soften wrinkles, reduced veins and capillaries, and stimulate new growth in skin cells. Unlike a salt scrub, sugar scrubs do not dry the skin. A sugar scrub is alpha-hydroxy rich. 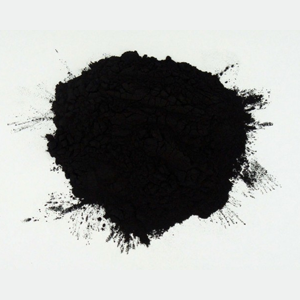 Alpha-hydroxy is an active substance with exfoliating and emollient properties. 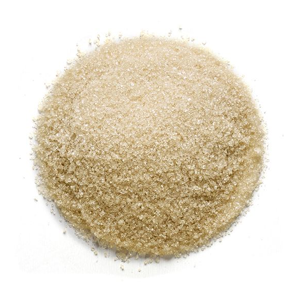 Sugar scrubs are non-abrasive and can be used frequently. They help to restore and moisturize the skin. Sugar is a humectant, which means it cannot draw moisture out of the skin like a salt scrub can. Patchouli essential oil is used to treat skin and hair problems, such as dermatitis, eczema, acne, dry chapped skin, and psoriasis. 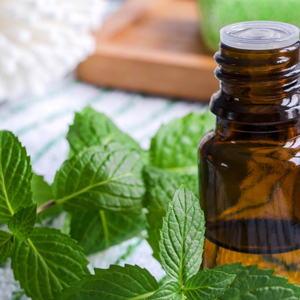 Peppermint essential oil will invigorate the mind and senses while easing muscle tension. 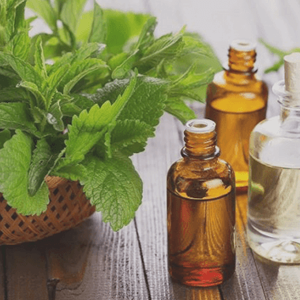 The health benefits of this oldest medicinal oil includes improving digestion, helps alleviate headache symptoms and helps to reduce stress and anxiety. Furthermore, it stimulates mental activity, clears the mind, and boosts cognition. 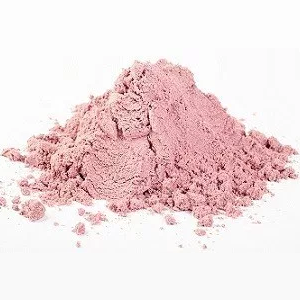 Pink Kaolin Clay, sometimes called Rose Clay, is a highly adsorbent clay that cleanses the skin. It’s especially beneficial for dry skin and it gently exfoliates and cleanses resulting in younger looking skin. 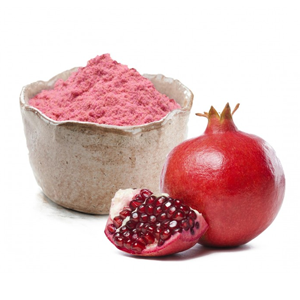 Non-GMO Pomegranates are jam packed with vitamins, but the most important benefits of pomegranates are antioxidants. Pomegranates contain three times as many antioxidants as red wine and green tea making this a powerful ingredient in keeping skin looking its youthful best! 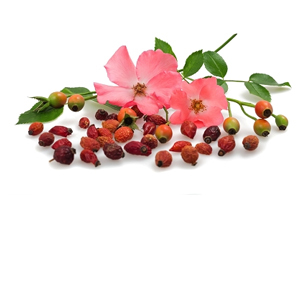 Comes from the fruit of the wild rose plant, naturally rich in essential fatty acids Omega 3, 6, and 9 that regenerate skin cells and repair damaged tissue. Rosehip is also high in Trans-Retinoic Acid which aids in preventing premature aging. 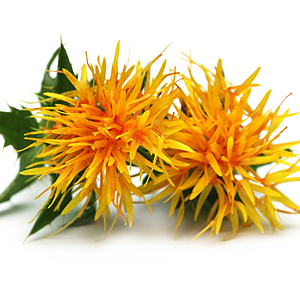 The high content of linoleic acid in safflower oil makes it ideal for boosting the quality and appearance of your skin. The linoleic acid can combine with sebum to unclog the pores and reduce blackheads, as well as acne, which is a result of sebum build-up under the skin. 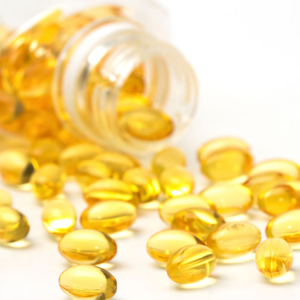 Furthermore, linoleic acid stimulates the regeneration of new skin cells that help clear up scars and other blemishes from the surface of the skin, leaving you looking younger, healthier, and more attractive. 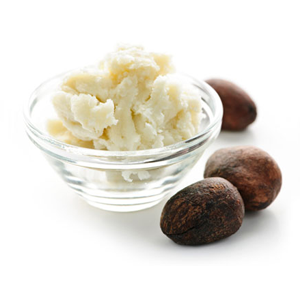 Shea butter is full of antioxidants and nutrients, including Vitamin A, which has many healing properties and has been known to aid in treating blemishes, wrinkles, eczema, and dermatitis, as well as burns and even stretch marks. By combining the shea butter with the tallow, you get a luxurious velvety lotion which benefits your skin from a variety of aspects. 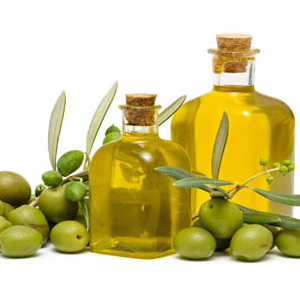 Sorbitan olivate, like Cetearyl Olivate, is a unique natural PEG-free emulsifier derived from Olive oil. It reduces skin water loss, has a high moisturizing effect, is hypoallergenic and biomimics the skin. Grass-fed tallow is a rendered form of beef or animal fat processed from suet. We use only the best grass-fed beef for our products. You might be surprised to find out that grass-fed tallow has a composition extremely close to that of our human cells. It absorbs effortlessly and helps maintain the elasticity and integrity of your skin. Grass-fed tallow also contains vitamins A, E, K, and E which are not found in plants, and plants happen to be a primary source for many other moisturizers. 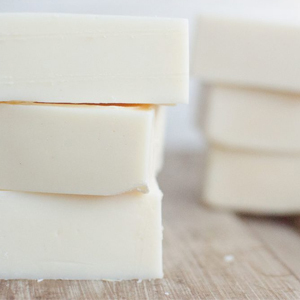 In addition, the fats contained in tallow have anti-microbial and anti-inflammatory properties, so go ahead and treat your skin to the magical benefits of tallow! 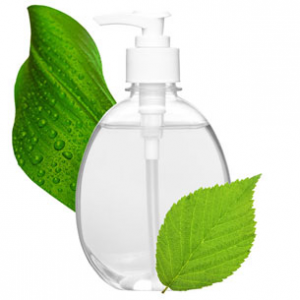 Pure vegetable glycerin is a natural humectant, when used with other natural oils and ingredients, it can seal in moisture on the top layer of our skin while the other oils work their way deep into our cells to provide long-lasting moisture.